Choice Theory, developed by Dr. William Glasser, is the explanation of human behavior based on internal motivation. As Dr. Glasser explains in the most recent of his widely read books, Choice Theory, all of our behavior is chosen as we continually attempt to meet one or more of the five basic needs that are part of our genetic structure. Choice Theory posits that behavior is central to our existence and is driven by five genetically driven needs, similar to those of Abraham Maslow. They are: Survival; Love and Belonging; Power; Freedom; and Fun. An understanding of these needs as well as the other major components of Choice Theory (the Basic Needs, the Quality World, the Perceived World, the Comparing Place, and the Total Behavior System) can help us build and maintain better relationships with the important people in our lives and lead happier, more satisfying lives. 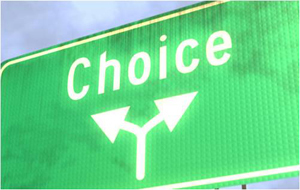 Choice Theory has been successfully implemented, internationally, in schools, organizations and treatment programs. In the therapeutic setting, it aligns with a cognitive behavioral approach that many clients who are motivated to change find empowering.